We are a leading Manufacturer of receiver tank, chemical receiver and ss chemical receiver from Navi Mumbai, India. 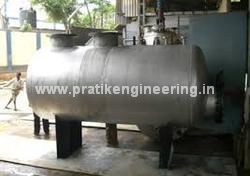 As per the variegated requirements of our clients, we are offering a broad collection of Receiver Tank. Our offered receiver tanks are used in diverse sectors such as; packaging, pharmaceutical, chemical, and CNC machine shop. These receiver tanks are designed by supreme grade material and sophisticated tools under the supervision of skilled professionals. 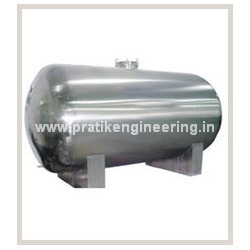 Clients can avail these receiver tanks from at industry leading rates. Owing to our in-depth domain expertise, we are providing a qualitative range of Chemical Receiver. This chemical receiver is used in chemical, pharmaceutical, food processing & biotechnology industries. We are giving this chemical receiver on numerous specifications as per the needs of customers. The offered chemical receiver is checked in terms of quality so as to deliver a flawless range. Chemical Receiver are used to store the raw chemicals, intermediate chemicals or final chemicals. 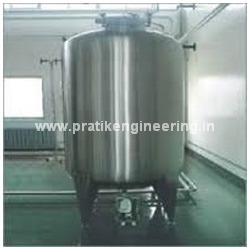 Pratik engineering is a proven and successful chemical tanks fabricator. We offer horizontal as well vertical chemical tanks. Under the expert supervision of our ingenious professionals, we are manufacturing and supplying SS Chemical Receiver. The offered chemical receiver is available in different specifications as per the variegated requirements of our customers. Our given chemical receiver is used for storing various chemicals with complete safely for long period of time. Also, this chemical receiver can also preclude excessive liquid ammonia from staying in condenser.